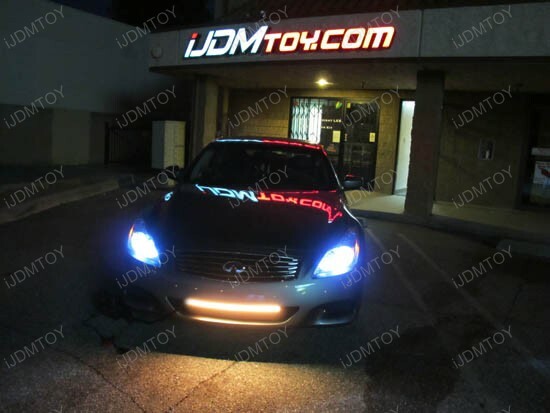 Q: Is this LED knight rider scanner light street legal? A: These lights are meant for off-road use or show purpose. As long as you do not use them during driving, it should be fine. 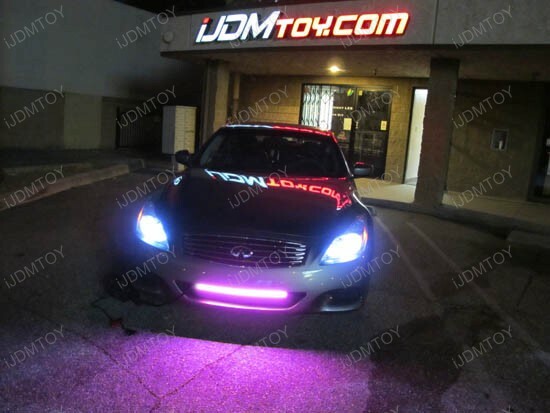 Q: Does this LED knight rider scanner light have a solid color function? A: No. Since this is a "scanner" light, the modes will only cycle the lights back and forth. Q: Is this LED knight rider scanner light water proof? A: The LED scanner bar itself is IP67 water resistant, means you can keep it for exterior use. However as for the module box, it is not water resistant at all. 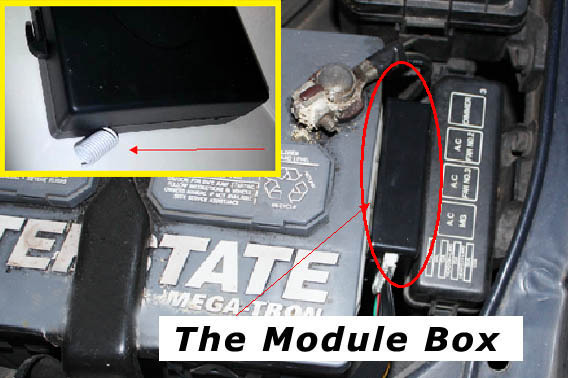 So please make sure to keep the module box in the engine bay next to the battery and please have the white antenna facing up extended slightly for better reception. 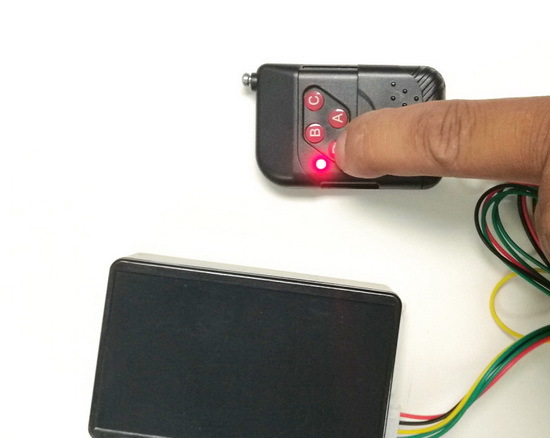 Q: will this LED knight rider scanner light fit my vehicle? A: This knight rider scanner LED is completely universal fit. As long as there is enough space on your car to properly and securely mount this product, it should fit. We provided the dimensions of the product so please check them prior to purchasing to ensure the fitting. 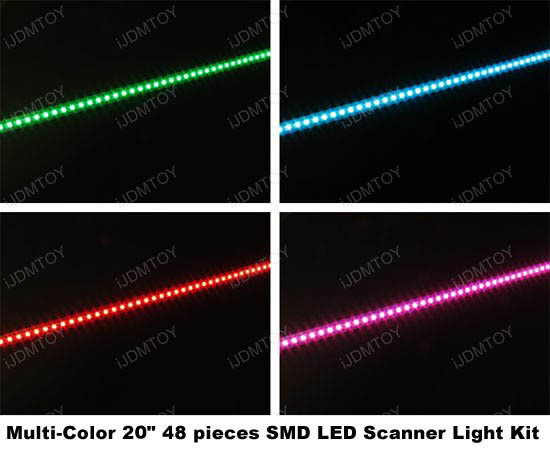 Q: Is the LED scanner bar flexible? A: No, The LED scanner bar strip is rigid so please don't bent it excessively. Q: If I install this knight rider LED scanner bar on my European car, would it cause any error messages on dashboard? A: No, since this LED scanner light is an add-on product, meaning it connects to an existing power source (and not replacing), there should be no error messages. 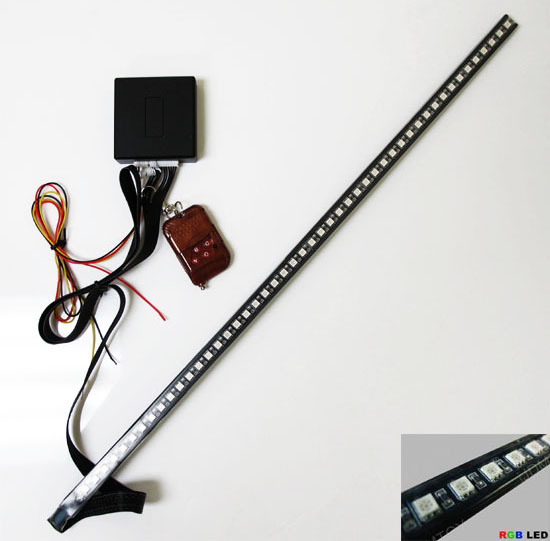 Q: How do I wire this LED scanner light to my car? A: Below is a diagram for the wiring. 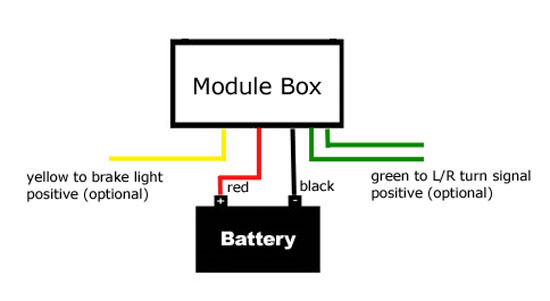 The two main wires are the Red and Black wires to battery positive and negative. 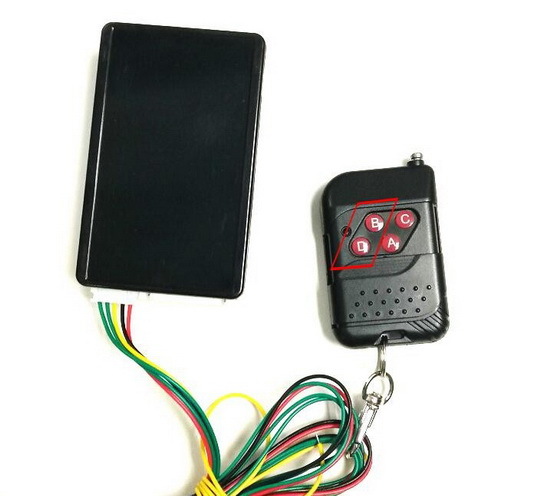 If there are additional wires such as the Green wires which are optional for left or right turn signal light positive flashing and yellow wire for brake light positive flashing. Q: How do I mount this scanner bar LED to my vehicle? Q: How long is the remote control range? A: The scanner LED remote control range is up to 60 ft. 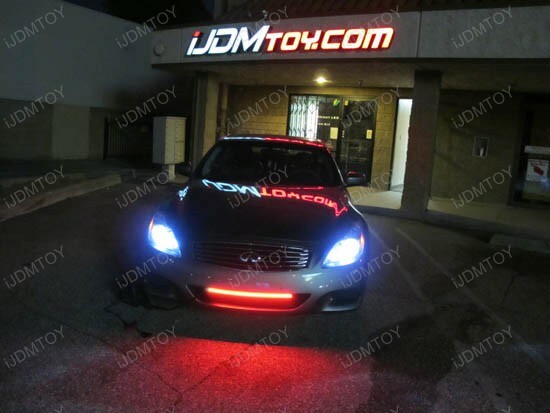 However the optimal range is 25-30 ft.
Our iJDMTOY 20" 7-Color SMD LED Scanner "Knight Rider" Light is ideal for anyone who wants a multi-color LED light that can be controlled by a remote control for their vehicle. 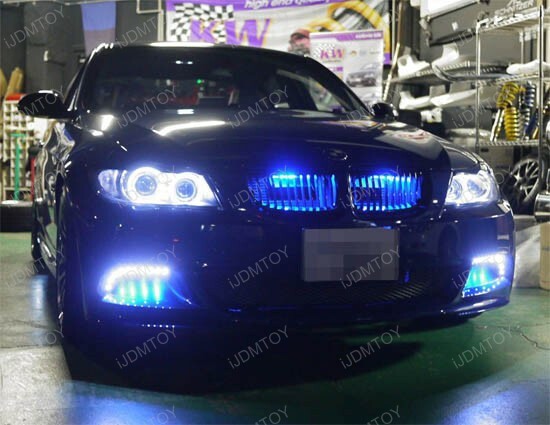 These unique LED lights add some extra flair to your ride without breaking the wallet. Our 20" LED scanner lights are perfect for those who want to re-create that nostalgic "Knight Rider" TV series look from the 1980s. 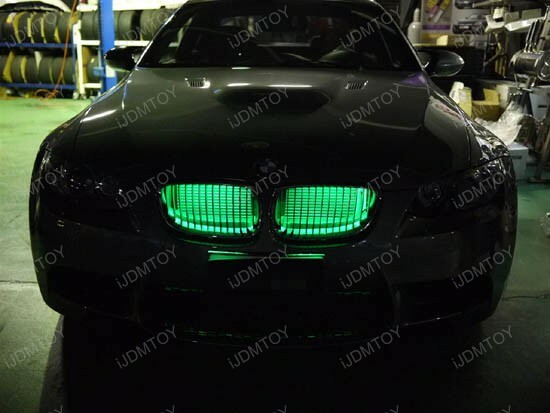 These LED lights are completely universal so they do not have a specific vehicle application. These lights will fit on any application that operates on a 12V DC battery and if there is enough space allowed. Please make sure you measure your application prior to purchasing to make sure the lights fit. 4.5 of 5 Total Reviews: 18 Write a review. brightest led I have ever owned going out video definitely worth the price! 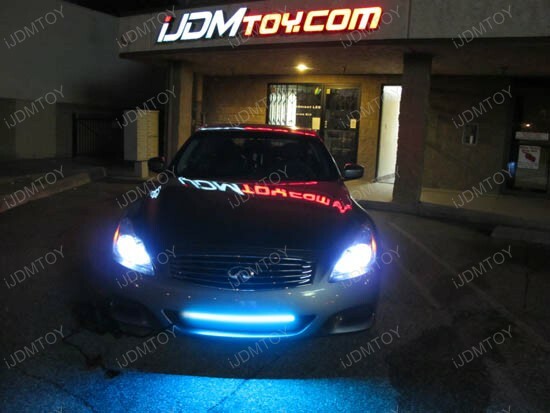 this led knight rider scanner light is way better the led under body glow kits! 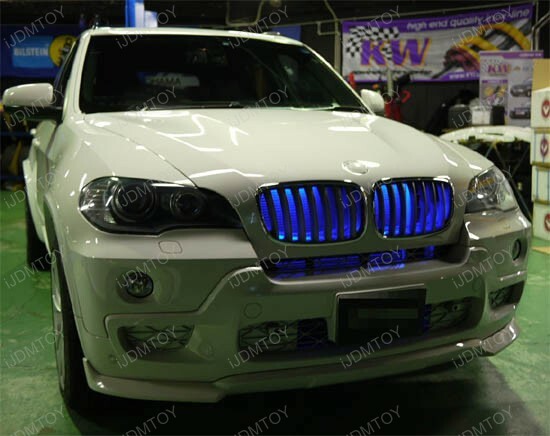 led under body glow will not let you write bad reviews about there products! this is one of the best and extremely super Bright and my wireless remote works from about a 100 feet or more. going buy more for other vechiles and for heading to my car shows! I don't know how any one could write a bad reviews. this is the greatest led light I have ever purchased. need help installing call me or email I show you how to do it. 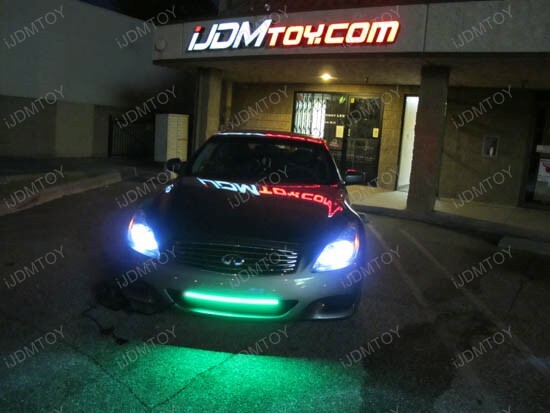 This RGB LED strip light is as described, great price! I've had this RGB LED knight rider scanner lighting bar installed about 2 months now and I'm petty satisfied. Very easy to install onto my exterior of my Honda. I always leave it on while my car is parked, even for several days at a time. 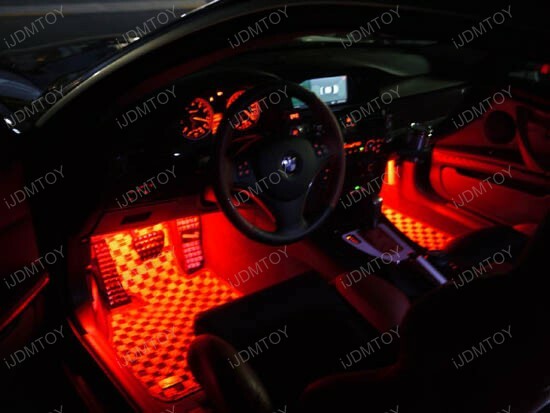 Many colors and LED lighting patterns to paly with. I found this website by chance. I'm glad I did. The day I got it in the mail, I installed it right away. It fits nicely behind my grill. It looks so awesome on my 08 Corolla! You guys have done a great job in producing such a quality product! The different light modes will keep it interesting. I will post some pics soon. Thank you iJDMtoy. fun product... except for the fact that the red and blue in the video is red and green on my bar (only good for christmas, not scaring friends) and the remote only works half the time. After about 3 months on my car, the colors started bleeding (Solid white has some purple/yellow color in it now.